I never like going to Tapas places for dinner. For those of you who don't know, Tapas is a style of food from Spain where they serve many very small plates. For example, a plate might have 3 shrimps or 2 garlic sauteed mushrooms. And since it's popular to go with a large group, I always find myself sharing a plate that's not even big enough for one person with 8 people. And ordering many dishes somehow doesn't end up being enough food for me. I usually leave Tapas places hungry and craving a place like In-N-Out to get stuffed. 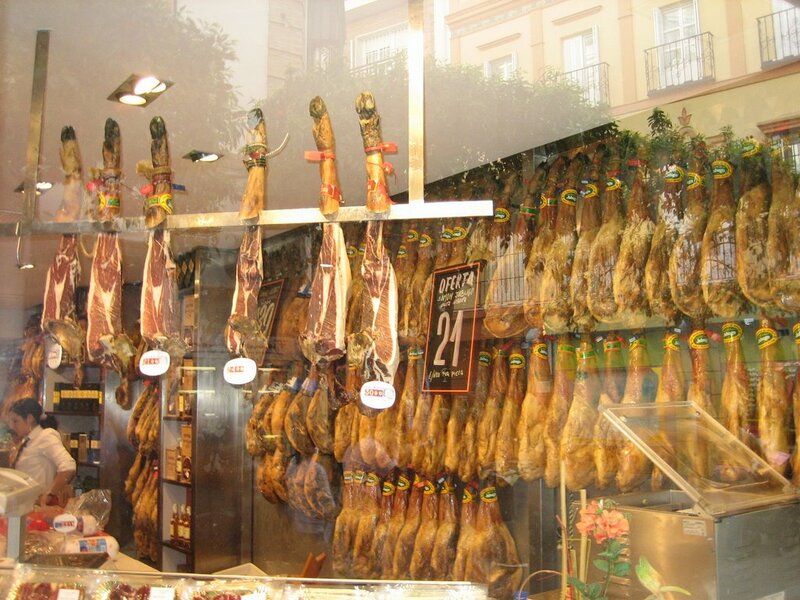 Jamon Serrano -- think of it as Prosciutto++ (Scusi to all Italians). Here are some pictures to wet your appetite! Another good place, recommended by a Googler, was a swedish-argentinean restaurant called Olsen. Sadly, they had no giant swedish meatball, which is the first thing that came into my mind when I heard of this interesting mix. 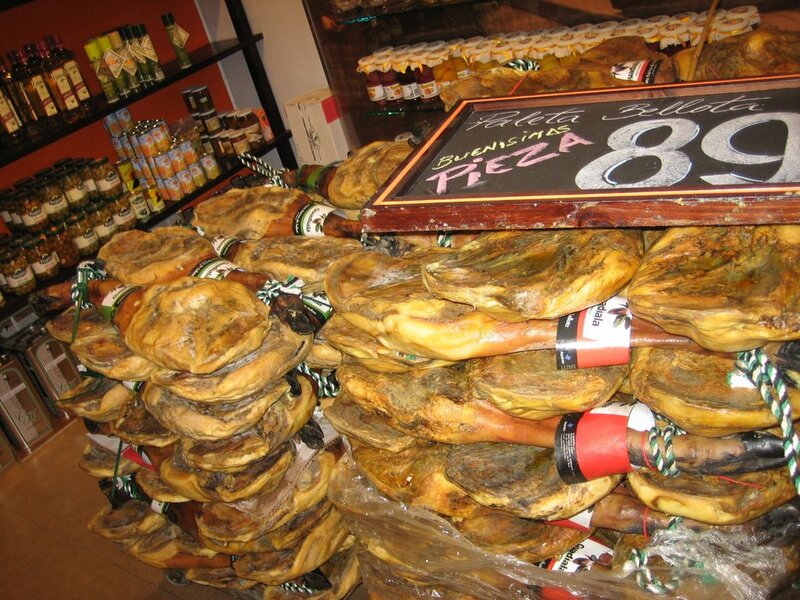 The best type of Jamon Serrano is "de bellota" (of blockhead? 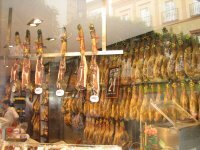 ), and the city for excelence know as cradle from Jamon serrano is "Salamanca". i love jamon serrano, you can eat the best in Valencia, let s try it!